Sprintek Corporation ("Sprintek") reserves the right to make changes to this site and to these terms at any time in its sole discretion. Your continued use of this site will constitute your acceptance of any new or amended terms. In the case of any violation of these terms, Sprintek reserves the right to seek all remedies available by law and in equity for such violations. Sprintek operates this site from its offices within the United States. Sprintek makes no representation that the materials, including all information, data, graphics, products, samples, and software ("Materials") referenced on this site and all services, including all technical support and design services ("Services") are appropriate or available for use in other areas of the world. The Materials and Services referenced on or available from this site are subject to U.S. export control laws and regulations. Those who access this site from locations outside the United States are responsible for compliance with applicable local laws as well as all U.S. export control laws and regulations. The Materials contained on this site are protected by copyright laws, international copyright treaties, patent laws, trademark laws, and other intellectual property laws and treaties. Sprintek grants permission to download, reproduce, display and distribute Materials contained on this site on a limited basis solely for internal, informational and non-commercial personal use, provided that you do not modify such Materials and provided further that you retain all copyright and proprietary notices as they appear in such Materials. Unauthorized use of any of these Materials is expressly prohibited by law, and may result in civil and criminal penalties. 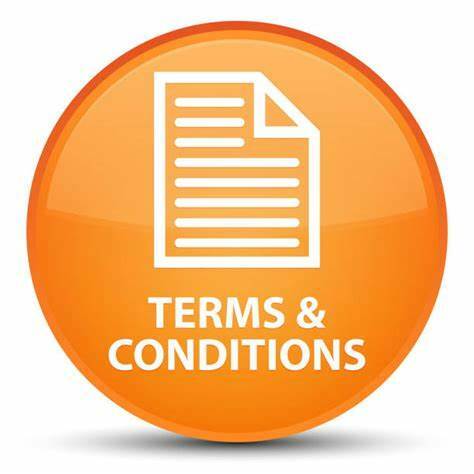 This permission terminates if you breach any of these terms and conditions. Upon termination, you agree to destroy any Materials downloaded from this site. As between you and Sprintek, Sprintek retains all rights, title, interests and ownership of any kind, including but not limited to, any and all intellectual property rights of every kind whatsoever, in and to this site and all Materials contained on or available through this site. Neither you nor any other user shall be deemed to obtain any rights to this site or the Materials, and nothing contained herein shall be construed as conferring by implications, estoppel or otherwise any license or right under any patent, copyright, trademark, or other intellectual property law. Sprintek intends for the Materials contained on this site to be accurate and reliable. These Materials may, however, contain technical inaccuracies, typographical errors or other mistakes. Sprintek may make corrections or other changes to these Materials at any time. Sprintek reserves the right to make corrections, modifications, enhancements, improvements and other changes to its products and services at any time or to discontinue any products or services without notice. THE MATERIALS AND SERVICES ON THIS SITE ARE PROVIDED ON AN "AS IS" AND "AS AVAILABLE" BASIS. SPRINTEK MAKES NO REPRESENTATIONS ABOUT THE SUITABILITY OF THESE MATERIALS AND SERVICES FOR ANY PURPOSE AND EXPRESSLY DISCLAIMS ALL WARRANTIES AND CONDITIONS WITH REGARD TO THESE MATERIALS AND SERVICES, INCLUDING BUT NO LIMITED TO, ALL IMPLIED WARRANTIES AND CONDITIONS OF MERCHANTABILITY, FITNESS FOR A PARTICULAR PURPOSE, TITLE AND NON-INFRINGEMENT OF ANY THIRD PARTY INTELLECTUAL PROPERTY RIGHT. SPRINTEK MAKES NO REPRESENTATIONS OR WARRANTY THAT AS TO THE ACCURACY, RELIABILITY, TIMELINESS, QUALITY SUITABILITY, COMPLETENESS OF OR THE RESULTS OF THE USE OF, THIS SITE, THE MATERIALS OR THE SERVICES. YOU ACKNOWLEDGE AND AGREE THAT THE APPLICATION NOTES, REFERENCE DESIGNS AND OTHER SUCH DESIGN MATERIALS INCLUDED HEREIN ARE PROVIDED AS AN EXAMPLE ONLY AND THAT YOU WILL EXERCISE YOUR OWN INDEPENDENT ANALYSIS AND JUDGMENT IN YOUR USE OF THESE MATERIALS. SPRINTEK ASSUMES NO LIABILITY FOR YOUR USE OF THESE MATERIALS AND SERVICES OR YOUR PRODUCT DESIGNS OR ANY APPLICATIONS ASSISTANCE PROVIDED BY SPRINTEK. ALL MATERIALS DOWNLOADED OR OTHERWISE OBTAINED THROUGH USE OF THIS SITE IS DONE AT YOUR OWN DISCRETION AND RISK. SPRINTEK ASSUMES NO LIABILITY FOR ANY DAMAGE TO YOUR COMPUTER SYSTEM OR LOSS OF DATA THAT RESULTS FROM THE DOWNLOAD OF ANY MATERIALS. SPRINTEK DOES NOT WARRANT OR REPRESENT THAT ANY LICENSE, EITHER EXPRESS OR IMPLIED, IS GRANTED UNDER ANY PATENT RIGHT, COPYRIGHT, MASK WORK RIGHT, OR OTHER INTELLECTUAL PROPERTY RIGHT OF SPRINTEK COVERING OR RELATING TO THESE MATERIALS OR ANY COMBINATION, MACHINE, OR PROCESS TO WHICH THESE MATERIALS RELATE OR WITH WHICH THESE MATERIALS MAY BE USED. USE OF THE INFORMATION ON THIS SITE MAY REQUIRE A LICENSE FROM A THIRD PARTY UNDER THE PATENTS OR OTHER INTELLECTUAL PROPERTY OF THAT THIRD PARTY, OR A LICENSE FROM SPRINTEK UNDER THE PATENTS OR OTHER INTELLECTUAL PROPERTY OF SPRINTEK. IN NO EVENT SHALL SPRINTEK BE LIABLE FOR ANY INDIRECT, SPECIAL, INCIDENTAL OR CONSEQUENTIAL DAMAGES OR ANY DAMAGES WHATSOEVER, INCLUDING BUT NOT LIMITED TO, DAMAGES RESULTING FROM BUSINESS INTERRUPTION OR LOSS OF USE, DATA, INCOME OR PROFITS, WHETHER IN AN ACTION OF CONTRACT, TORT (INCLUDING NEGLIGENCE) OR ANY OTHER THEORY OF LAW RESULTING FROM USE OF THIS SITE OR ARISING OUT OF THE USE OF THE MATERIALS AND SERVICES AVAILABLE ON THIS SITE, REGARDLESS OF WHETHER SPRINTEK OR AN AUTHORIZED SPRINTEK REPRESENTATIVE HAS BEEN ADVISED OF THE POSSIBILITY OF SUCH DAMAGES. Certain links may from time to time be provided herein to permit you to leave this site and enter non-Sprintek sites. These linked sites are not under Sprintek's control. Sprintek is not responsible for the contents of any linked site or any changes or updates to such sites. Sprintek provides these links to you only as a convenience. The inclusion of any link does not imply endorsement by Sprintek of any linked site. SPRINTEK'S PUBLICATION OF INFORMATION REGARDING THIRD-PARTY PRODUCTS OR SERVICES DOES NOT CONSTITUTE AN ENDORSEMENT REGARDING THE SUITABILITY OF SUCH PRODUCTS OR SERVICES OR A WARRANTY, REPRESENTATION OR ENDORSEMENT OF SUCH PRODUCTS OR SERVICES, EITHER ALONE OR IN COMBINATION WITH ANY SPRINTEK PRODUCT OR SERVICE. Except for personal identifying information specifically requested by Sprintek, do not send any confidential or proprietary information to Sprintek through this site. Any information or material transmitted to this site will be deemed non-confidential and non-proprietary. Any information or material transmitted to this site will be the property of Sprintek, and Sprintek will not incur any liability as a result of any similarities that may appear in future Sprintek products or services. Without limitation, Sprintek will have exclusive ownership of all present and future rights to any information or material transmitted to this site of every kind and nature everywhere. Sprintek will be entitled to use, reproduce, display, perform, modify, transmit, distribute and use any such information or material for any commercial or other purpose whatsoever, without any compensation to you or any other person. You are prohibited from transmitting to or from this site any unlawful, threatening, libelous, defamatory, obscene, pornographic, or other material that would violate any law. Unless otherwise specified, products purchased from Sprintek are subject to Sprintek's Standard Terms and Conditions of Sale, which should be reviewed carefully before placing an order. These terms and conditions are governed by and construed in accordance with the laws of the State of California, without regard to conflicts of laws. You agree that any dispute arising out of this agreement or your use of the site will be heard only in the state or federal courts in or for Ventura County, California, USA, and you hereby consent and submit to the personal jurisdiction of such courts. You agree that any actual or threatened breach of this agreement by you could result in irreparable harm to Sprintek and, accordingly that Sprintek shall be entitled to immediate injunctive relief, including a temporary restraining order and/or preliminary injunction without the necessity of a bond or other undertaking, to restrain such breach or threatened breach. Copyright ©2019 Sprintek Corporation. All rights not expressly granted herein are reserved.